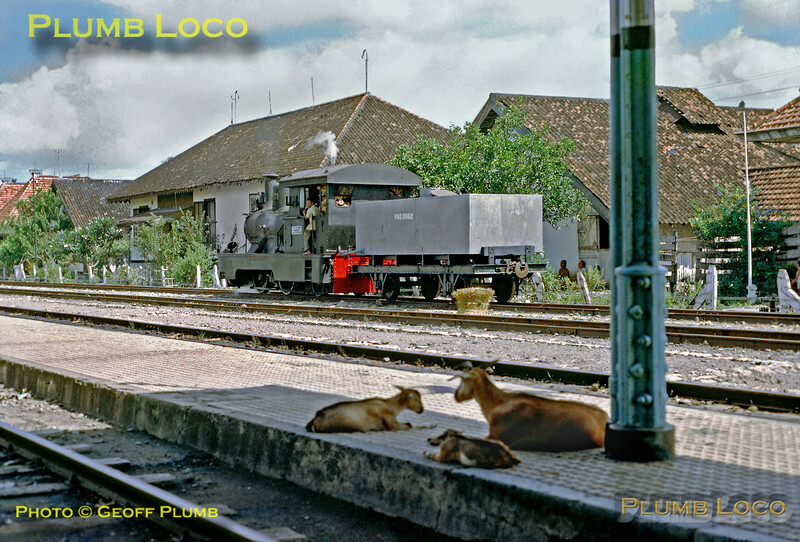 While the local goats rest in the shade of the station roof, 0-4-2skT No. B22 14 shunts a water tank wagon around the sidings at Gundih. Sunday 22nd July 1973. B22 14 was built by Hartmann in 1900, works No. 2562. Slide No. 11615.